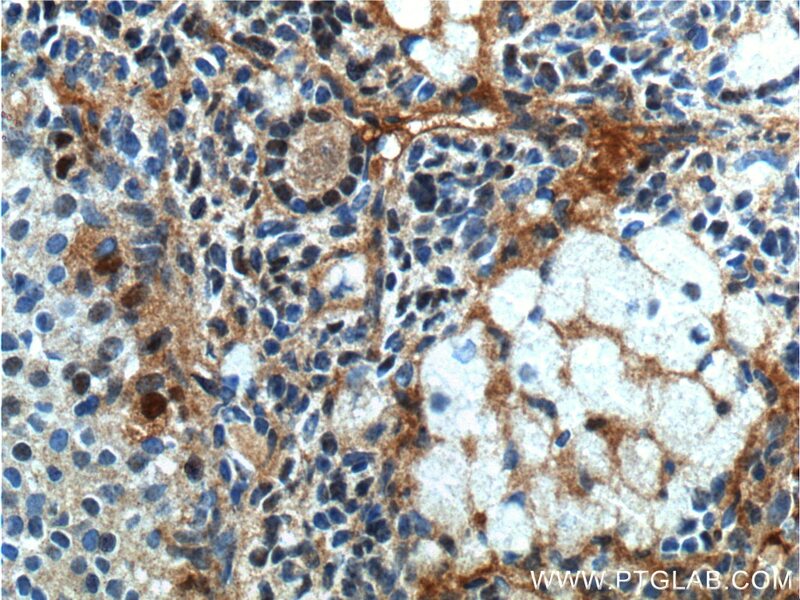 Immunohistochemical analysis of paraffin-embedded human prostate cancer tissue slide using 22089-1-AP( androgen receptor antibody at dilution of 1:200 (under 40x lens). heat mediated antigen retrieved with Tris-EDTA buffer(pH9). 1. What is the molecular weight of AR? Are there any isoforms of AR? The molecular weight of full-length androgen receptor (AR-A) is 110 kDa. An additional variant, AR-B, has an 87 kDa size and lacks the N-terminal 187 amino acids of AR-A (PMID: 8108393). Recently, more splice variants of AR have been discovered, raising protein products of around 80 kDa length (PMID: 19244107), as well as an AR45 variant of 45 kDa size (PMID: 15634333). AR splice variants differ in their cell line-specific expression (PMID: 24570075). 2. What is the subcellular localization of AR? AR can be present in either or both of the cytoplasm and nucleus. In androgen-deprived cells, AR is found predominantly in the cytoplasm, while stimulation by androgens causes enrichment of androgen-bound AR in the nucleus. AR shuttles between the cytoplasm and nucleus and its phosphorylation state has an impact on the subcellular localization (PMID: 16282370). 3. 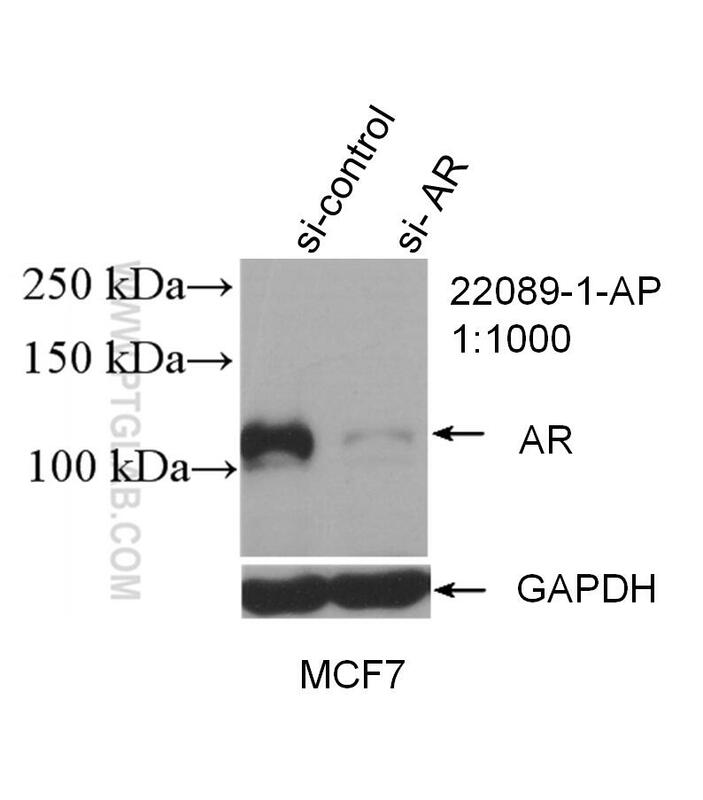 Is AR post-translationally modified? Post-translational modifications of the AR include phosphorylation, acetylation, methylation, SUMOylation, and ubiquitination (PMID: 21820033). These modifications have an impact on receptor stability, activity, and can change the observed molecular weight of the AR. 4. How to study AR signaling in cell culture? It is important to control levels of cell stimulation while also looking at AR signaling. 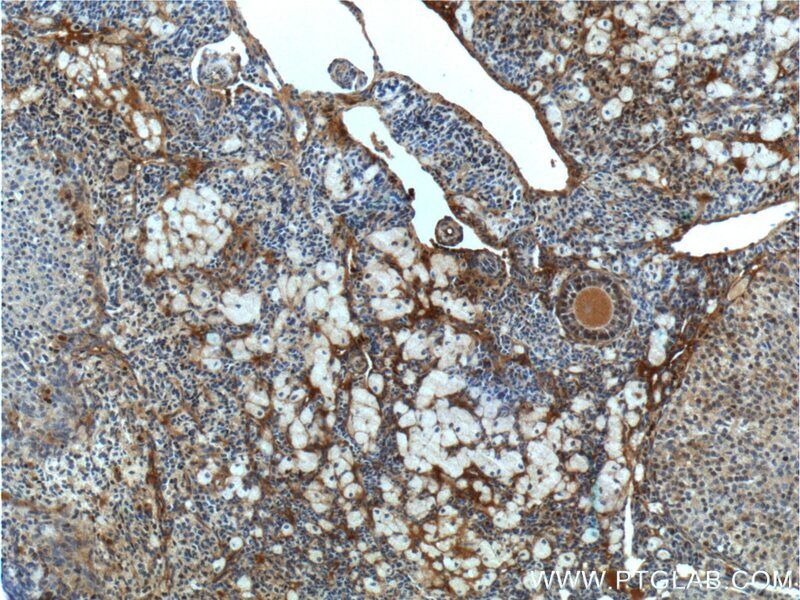 Fetal bovine serum (FBS) that is typically used in cell culture contains low levels of testosterone that are enough to stimulate the growth of prostate cells (PMID: 19676093), including the LNCaP cell line that is a commonly used human prostatic carcinoma cell model (PMID: 6831420). One possibility for complete testosterone deprivation is to use charcoal stripped FBS that removes lipophilic agents, including androgens. It is also not recommended to use phenol red in your medium because it is a weak estrogen (PMID: 3458212). Cell stimulation is often conducted by dihydrotestosterone (DHT). 5. What is the role of AR in prostate cancer? AR plays a key role in the development and physiology of the prostate gland, and also cancer progression (PMID: 15082523). Mutations in AR altering ligands have been observed. 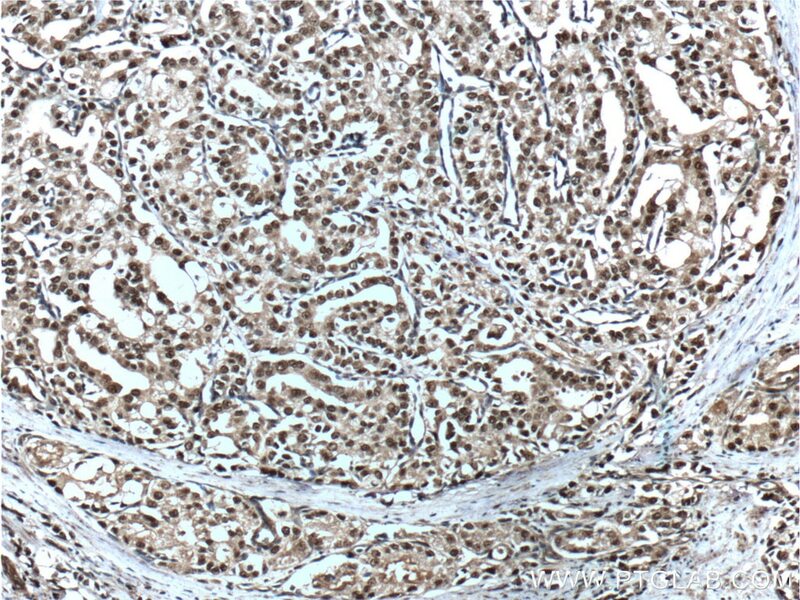 The progression of the prostate cancer depends on AR activity and therefore blocking AR activity or lowering androgen levels is a key step related to androgen deprivation therapy (ADT). Testosterone regulates 3T3-L1 pre-adipocyte differentiation and epididymal fat accumulation in mice through modulating macrophage polarization. miR-323-3p regulates the steroidogenesis and cell apoptosis in polycystic ovary syndrome (PCOS) by targeting IGF-1. The preoperative neutrophil-to-lymphocyte ratio is not a marker of prostate cancer characteristics but is an independent predictor of biochemical recurrence in patients receiving radical prostatectomy. 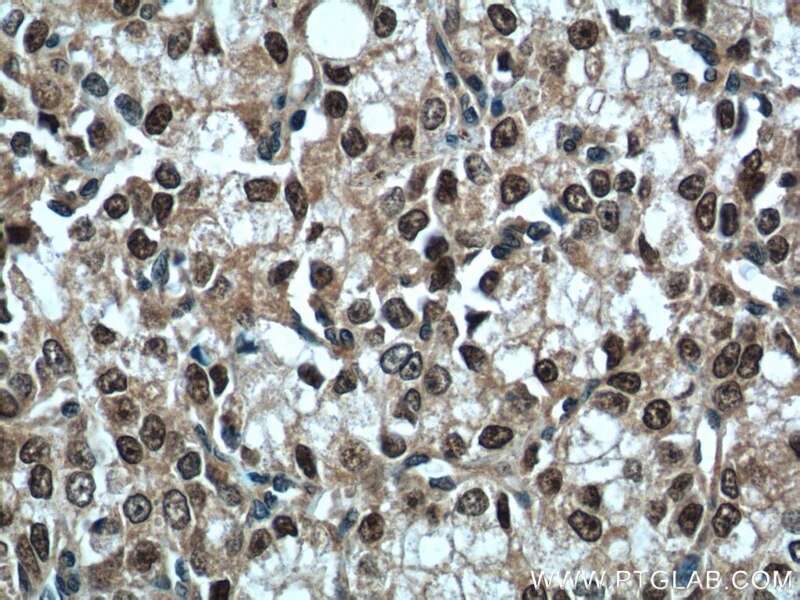 Immunohistochemical analysis of paraffin-embedded human prostate cancer tissue slide using 22089-1-AP( androgen receptor antibody at dilution of 1:200 (under 10x lens). heat mediated antigen retrieved with Tris-EDTA buffer(pH9). 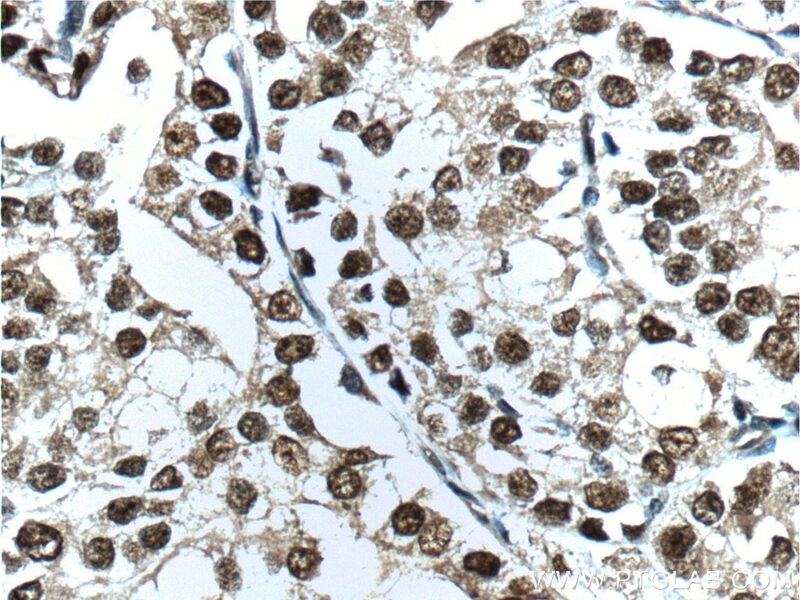 Immunohistochemical analysis of paraffin-embedded mouse ovary tissue slide using 22089-1-AP( androgen receptor antibody at dilution of 1:200 (under 10x lens). 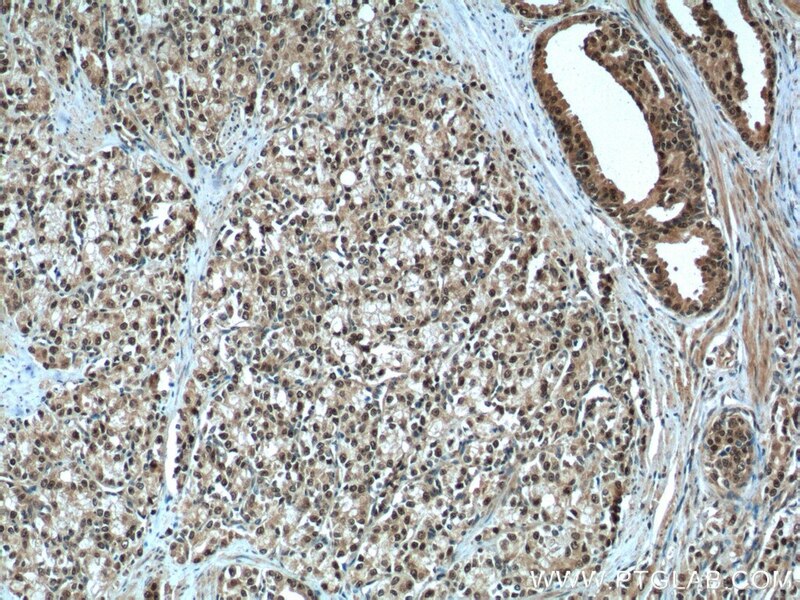 Immunohistochemical analysis of paraffin-embedded mouse ovary tissue slide using 22089-1-AP( androgen receptor antibody at dilution of 1:200 (under 40x lens).